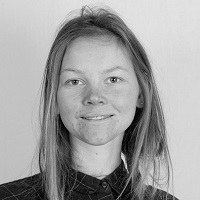 Petra van der Kooij is an affiliate member of the Fair Limits project. She holds a Master’s degree in Human Ecology: Culture, Power and Sustainability (Lund University) and a Bachelor’s degree in Interdisciplinary Sciences (University of Amsterdam). She is interested in the relationship between ecological sustainability, social justice and societal change, both in theory and in practice. As an affiliate member of the Fair Limits Project she is working on an interview series with personal stories of diverse people about how they deal with making environmental choices in their daily life and what they think their individual responsibility is with regard to taking measures against climate change. The aim is to let the reader critically engage with dilemma’s around climate change and personal lifestyles and to let them reflect on the choices they make when it comes to global warming.